From the Masur Gallery of Spellerberg Projects. Poster for one of the three artists (me) on display. 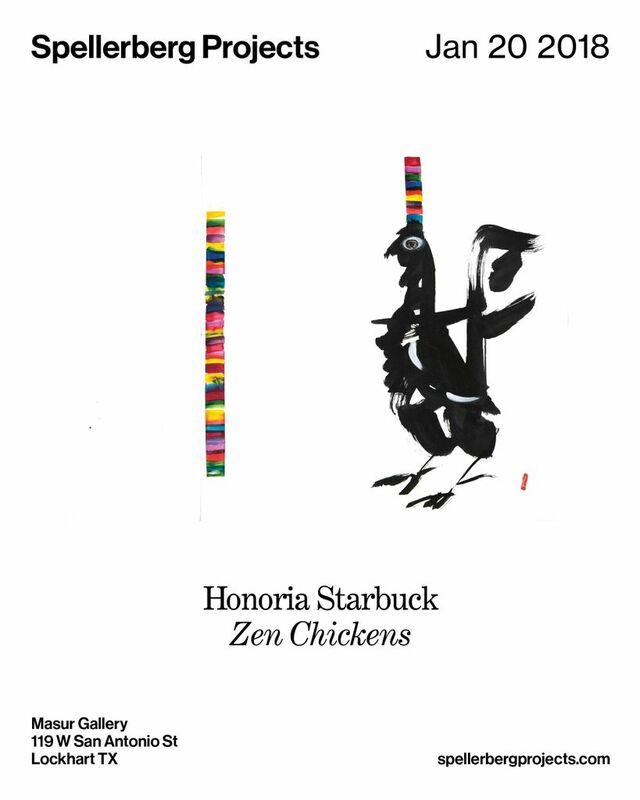 I had at least 40 zen chickens in the exhibition from 5 x 7 inches to 22 x 30 inches. Zen chicken scarf printed on heavy polyester satin. Sold as scarf or wall hanging. Fly you zen chicken flag! Me and Knut at the opening. 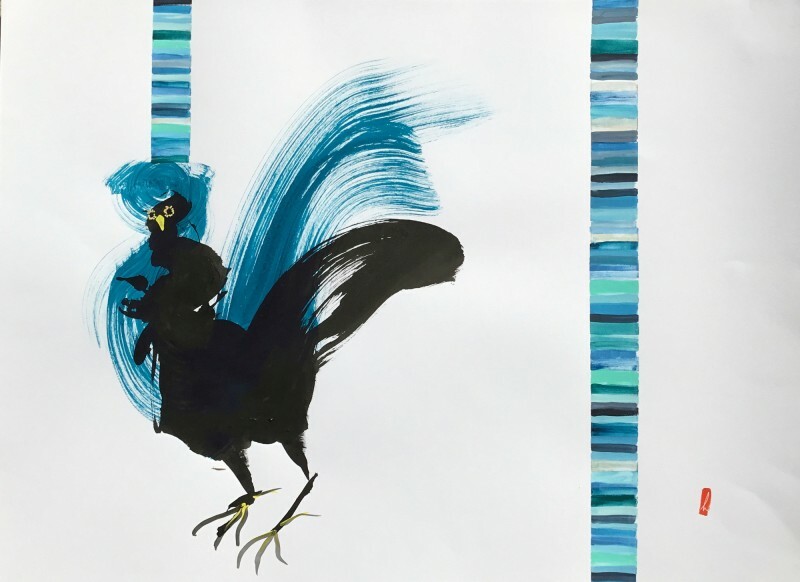 Henry Tarin created the zen chicken silk trench coat with my paintings and appliqued leather feathers. 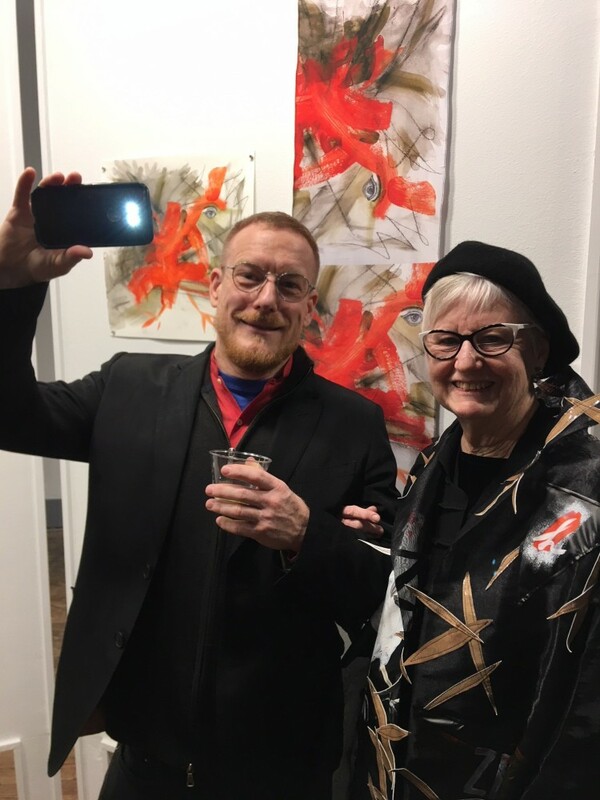 Happy art opening to all.